It never fails… school starts and the “sick kids” posts start to overtake my social media feeds. As a mom myself, I know how hard we all try to keep our kids happy + healthy. Here are 5 tips + tricks that are backed by research and seem to be working for us. Our prayer is that the tips help your family too! Sometimes easier said than done (coming from a mom with a toddler who hates to sleep), but getting adequate, quality sleep is so important in staying healthy! It is the time the body uses to repair itself. As our bodies work to fight off illness and disease, the repair that happens during sleep plays a huge role. According to the National Sleep Foundation, “sleep is especially important for children as it impacts mental and physical development”. The National Sleep Foundation guidelines state that preschoolers (3-5 years of age) need 11-13 hours of sleep / night, and elementary age kids (6-13) require 9-11 hours of sleep each night. Stay active! Active individuals experience less illness overall, as exercise boosts the immune system and ensures body systems are running at optimal levels. Harvard Medical School’s online Harvard Health Publication states “Every part of your body, including your immune system, functions better when protected from environmental assaults and bolstered by healthy-living strategies that include regular physical activity”. 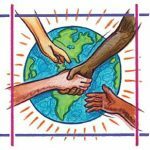 The American Heart Association, The Center for Disease Control, and the President’s Council on Physical Fitness all recommend 60 minutes of moderate – vigorous activity all or most days of the week for kids. Most parent’s believe this activity happens in school and sadly that is not true. A few tips to keep your kids active: 1) Make sure the after school program or activity they are involved in includes exercise (they just sat most of the day in school) 2) get them involved in sports or an active play group like Recess & Results 3) Implement family fitness nights using some of the fun activities we have shared in this blog! Eat those veggies!! Proper nutrition is about 80% of overall health. Each bite we take either makes us stronger, or weaker. Fruits and Veggies are the most neglected food group, yet provide the most powerful defense against disease and illness. It is recommended that everyone gets 9-13 servings of fruits and veggies / day! Make this fun by allowing kids to “play with their food”, dipping cut up fruit in yogurt or veggies in hummus, or create animal faces out of cut up fruits and veggies. Smoothies are another great way to make sure your kids are getting those servings of fruits and veggies every day. Please educate yourself on what is in the vitamins you are giving your family. Most are filled with man-made vitamins that your body will process as waste, thus equaling nothing more than wasted money on your part. We recommend eating a balanced diet of whole food as much as possible. Still, we understand it is hard to get those 9-13 servings of the most important fruit and veggies every day and for families that need help, we recommend the next best thing…. Juice Plus. Juice Plus is made from whole food (a variety of 30 different fruits and veggies) and is the #1 most researched nutrition product on the market. 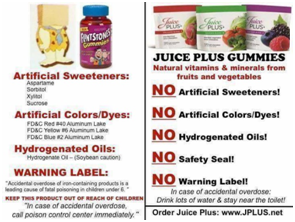 Free of anything harmful, juice plus is literally whole fruits and veggies in capsule or gummy form. The best part is kids can get it FREE with a parent order. Message info@recessandresults.com if you would like more information and free samples, or visit our store to learn more.